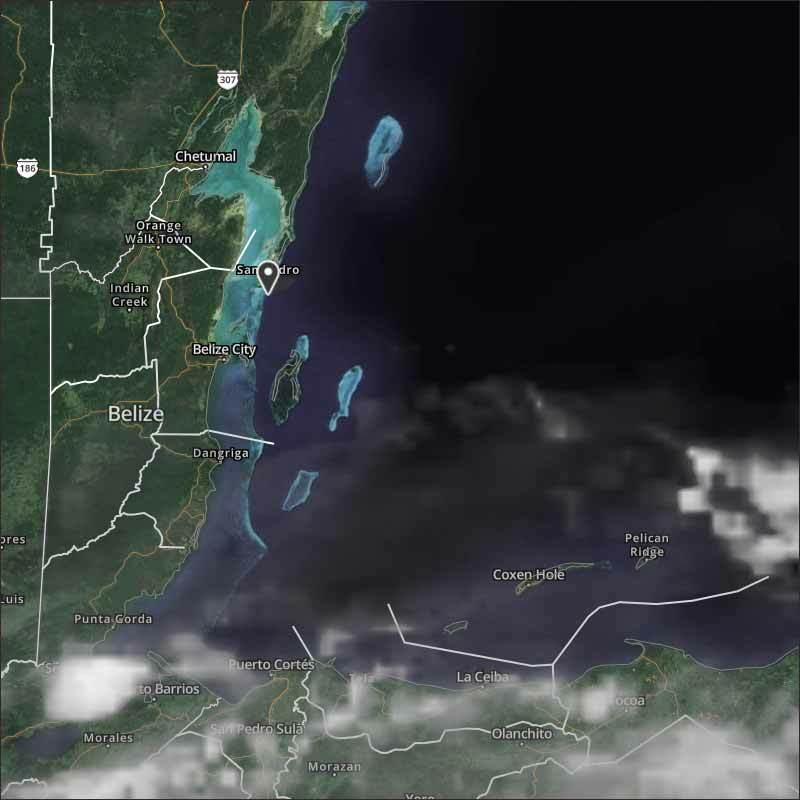 Belize NMS: Slightly moist and gusty easterly airflow will continue through tonight. Mainly fair weather will prevail for most of the week. 24-hour forecast: Sunny with cloudy spells today and cloudy at times tonight. A few showers and isolated thunderstorms will occur mainly over northern and inland areas today, then over the south tonight. Today: Winds: East 10-20 kt with higher gusts; seas: Moderate - rough; waves: 5-7 ft; a few showers mainly north. Tomorrow: Winds: East 10-20 kt; seas: Moderate; waves: 4-6 ft; a few showers mainly south, decreasing. Marine Outlook: (Monday night) Winds: East 10-20 kt; seas: Moderate; waves: 4-6 ft; a few showers mainly south, decreasing. Only isolated showers. General Outlook: (Mon & Mon night) Partly cloudy with a few showers mostly over southern districts in the morning, with showers becoming isolated in the afternoon and night. 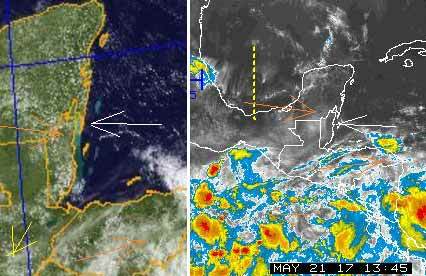 The Very active tropical weather is getting very close to Belize. There is the WbyN high level from Mexico, and the WbyS from the Pacific. There is also air moving down from the north, causing clouds along the Pacific coast as it moves off the Mountains. There are a few small spots of rain around. Looks like today is going to be a mixture of cloud and sun, even with a chance of rain.